Release, Relax, Tap into Your Brilliance. EFT Tapping to help you unleash your creative genius. Spring! Time to spring into action, right? So why do so many people feel so tired? Maybe it’s the loss of sleep due to daylight savings. Maybe it’s Mercury in Retrograde. Maybe it’s the change of seasons. Probably, it’s a mix of all of it. We bundle ourselves up during winter, cocooning in hibernation. Then comes the loosening of Spring. More sun. Warmer temperatures. More action. All wonderful. Yet, after the stillness of winter, it can feel somewhat disruptive, distracting, discombobulating. Transitions of any kind can be hard. Transitions mean change. And change can throw us off track, making it harder to spring into action. Grounding and settling your energy is what will give you the power to reboot and reenergize. Here’s what to do to feel more grounded, so you can give yourself a nice powerful jump-start. Meditate — Meditation will help bring you back to center. Consistent meditation changes your brain, making it more adaptable to stress. 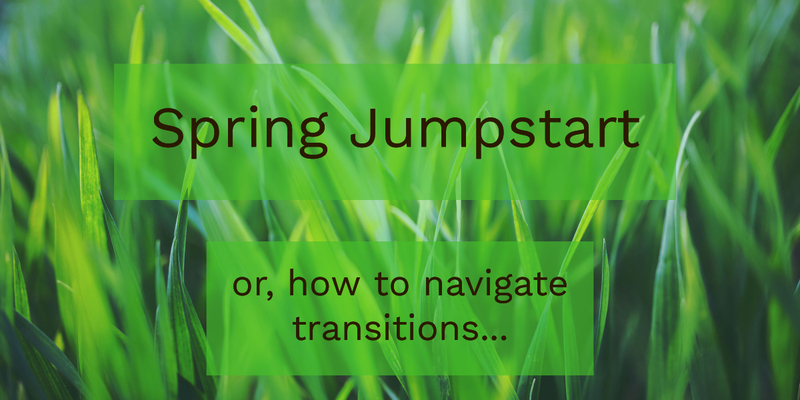 It will help you feel more grounded, less distracted, and more able to navigate transitions. Start with 5-10 minutes at a time. Add mini meditation breaks to your day to help you stay centered throughout. Try Insight Timer for free guided meditations and a meditation timer. Go to bed early – Good sleep is essential to reset your energy supply. Turn off electronic devices. Let your energy settle. Sleep in a dark room. Make up for lost sleep. Walk in Nature – Walk on the softening Spring earth. Sense yourself grounding with each step. Breath the air. Smell the air. Notice life emerging. Merge with the energy of Spring. Allow it to reinvigorate you. EFT Tapping – Tap a few rounds around the points to help yourself clear away distractions and anxiety. EFT Tapping is one of the most effective techniques for lowering cortisol, the major stress hormone. Lowering cortisol will help you feel more relaxed. It will also help you release ‘false’ energy that keeps you wired. For an illustrated diagram of the tapping points, click here. Get out of Your Beta Brain — Beta brain wave state activity is very busy, and can lead to distraction and worry. Use techniques such as EFT Tapping and the Heart Breath Meditation to drop into a deeper, calmer alpha brain state. It’s from this deeper, calmer place that you can feel inspired to take new action. 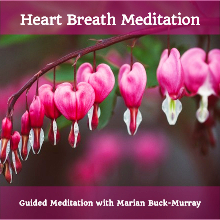 For videos on how to use EFT Tapping and Heart Breath, click here. Get Creative – Nourish and awaken your senses. Follow your intuition, and do something that will help you drop into creative, effortless flow. In this space, let go of how things should be, and allow yourself to be reinvigorated by your own creative power. leafy greens, colorful veggies, seaweeds, and probiotic foods. A diet rich in plant foods is anti-inflammatory, and helpful for allergies. Herbal teas such as Nettle, Ginger, Rooibos, Peppermint, can also be helpful. By cleaning up your diet, and clearing out the toxins, you will feel energized to move forward. Need some encouragement to help you get going? Contact me. We do not give your email address to other parties. Thank you so much, Marian! I have held such appreciation in my heart for you and for the powerful work you have done with me. I want to come see you for some more matrix reimprinting and EFT. The more I expand the more I see. And I see more opportunities to release old ways and adopt new patterns that will serve my fullest expression of my soul's journey. Thank you so much for the session yesterday. It’s so freeing to feel grounded and energetically unblocked at the same time. You’ve been such an incredible guide and support this past year. I’m astounded by how much I’ve learned and how far I’ve come. Our session was incredible. I’m still in absolute awe at how quickly you led me to the core issues that were tangling me up. So often I would feel the impact of the inner critical voice on my emotions (I’d FEEL depressed, overwhelmed, stuck, anxious)…but I never knew what the core limiting beliefs exactly were. That you exposed them so effortlessly amazes me. I’m blown away by how good I feel – truly it is like I’m breathing deeper, feeling lighter, clearer– an everyday-kind-of joy just feels so much more accessible right now. Thank you from the bottom of my heart for your work- I can’t wait to continue further with you! THANK YOU. I'm sure you must hear testimonials all the time, but just your presence, voice and spirit make a huge difference in the way I think and do things - and I change! It's really a miracle, and you are the catalyst. Your guidance is invaluable. We have been honored to have Marian’s presence at our Company to learn more about stress reducing techniques like tapping and heart breath meditations. Marian empowered many employees to utilize such an accessible technique to help manage emotions in the corporate setting. Thank you for agreeing to speak at NAO Wellness! I loved hearing your story, it’s so captivating and inspiring. The feedback from the workshop was amazing – participants said it was transformative, that the energy in the room completely shifted, and more. I was truly blown away, I’m still feeling all the good vibes. You are such a gift. ~ Nikki Ostrower, Founder and Principal Nutritionist at NAO Wellness. I started working with Marian over four years ago when I was experiencing recurrent miscarriages. It was an extremely vulnerable and traumatic time and I was lucky to find Marian through a friend’s recommendation. I had never done anything besides talk therapy previously and I was unfamiliar with EFT but I knew I needed something different. Marian educated me about EFT and its benefits. She tailored each session to my unique needs depending on what was going on for me emotionally and also used visualizations and breathwork. These are skills that I also used on my own outside of our sessions. Marian is extremely skilled, grounding, empathetic and insightful. Even when I didn’t know what I needed, she listened and intuitively knew what to do. Her guidance helped me heal and move forward in my quest to be a mother. Our work together has truly been transformative for me and I continue to value our work now that I’m a new mother and am faced with new challenges. Disclaimer: The information and concepts presented on this website are for educational purposes only. It is not intended to diagnose, treat, prevent or cure any disease or condition. It is not intended to substitute for the advice, treatment and/or diagnosis of a qualified licensed medical professional.